On Wednesday July 31, Anne Arundel County District Court Judge Megan Johnson denied petitions by Donald Sweeney and Leah Dorsey to have eight of their horses and ponies returned to them. On June 4, Anne Arundel County Animal Control impounded four horses and five ponies (and several goats) from Severn Stables on Upton Road after Sweeney’s veterinarian Thomas Jett recommended that the animals be removed because of ongoing neglect. The animals were seized and placed with a licensed rescue stable. 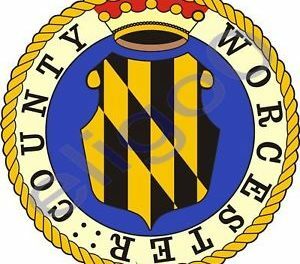 On June 11, Sweeney and Dorsey filed separate petitions in Anne Arundel County District Court against Animal Control to have their animals returned, and from there the case progressed steadily through the courts. During this time, a very public battle erupted when Dorsey and Sweeney took their story public through Facebook to tell their side of the story. Stories also appeared in or on WJZ Channel 13, WBAL Channel 11, WUSA Channel 9, Eye on Annapolis, Odenton Patch and The Capital Gazette. The Equiery also reported on the seizure, but the research for the article did not progress in the usual manner. Generally, owners of horses who have been seized by government authorities are unwilling to speak with equine media, unlike the various State’s Attorneys and Animal Control officers. But Dorsey and Sweeney were quite willing to talk with us, and not so the representatives of the government. We were troubled by the unwillingness of Anne Arundel County Animal Control to return our calls. The State’s Attorney office eventually did return our calls after our press date; Assistant State’s Attorney Kim DiPietro has been accessible since then. Anne Arundel County State’s Attorney has up to a year to file charges of criminal neglect. On July 25, Leah Dorsey appeared before Judge Johnson with several requests. One, her request to include her father, Ronald Phelp, as co-owner and co-petitioner on several of the horses, was approved. Another requested a change of venue, and was denied after County Attorney William Dunlap (representing Anne Arundel County Animal Control) who was able to submit Facebook postings by Dorsey complaining about Judge Johnson, who presided over a custody hearing in which Dorsey was involved several years ago. Another asked for a continuance in order to obtain counsel. This request was granted, as was a request by the county that the Sweeney and Dorsey cases be joined (and therefore heard) together, as the majority of the evidence and the witnesses were the same for each. The county requested that at least a half day, but preferably a full day, be set aside for the hearing because of the number of witnesses. This request was likewise granted. When the parties gathered again the following week in Judge Johnson’s courtroom, the plaintiffs (Sweeney and Dorsey) were now represented by Chestertown Attorney David Wright. Wright immediately withdrew the Sweeney/Dorsey petition to have the horse known as Hope returned to them. Of the animals seized on June 4, Hope was in the worst condition, and the only animal in which both Sweeney and Dorsey claimed an ownership stake, as well as Ron Phelps. Sweeney was not pursuing return of the goats. Once the judge granted the amendment to the petition, Wright immediately moved to have the Sweeney and Dorsey cases severed, noting that since Hope was not part of the request, there was no reason for the cases to be heard together. William Dunlap vigorously opposed the motion citing judicial efficiency, and the judge denied the motion. The judge and the attorneys had to sort out the set of rules under which the petitions would be heard, given the apparent oddity of the statutes, and whether to use the evidentiary standards for small claims or large claims. Equiery readers should remember that the county has not (at least not yet) filed charges against Sweeney and Dorsey, and that Sweeney and Dorsey are petitioning for return of the animals. Thus Sweeney and Dorsey are the plaintiffs, and Animal Control is the defendant. Once it was agreed that none of the animals had an individual value in excess of $5,000, it was agreed to use the evidentiary standards for small claims court, and which would also allow for a De Novo appeal if either of the parties are unhappy with the judge’s rulings. Once the preliminaries were resolved, both attorneys agreed to waive opening statements and the hearing began, with attorney Wright walking first Leah Dorsey, then Donald Sweeney, through testimony about why the horses should be returned. Both Dorsey and Sweeney testified about the ownership and care of the horses, and the county’s prior involvement with Severn Stables. They believed they had complied with all that Animal Control had requested. The only witness presented by the petitioners was Jules Smith, owner of the Maryland Renaissance Festival, who testified that he had been hiring the Sweeney family to provide pony rides since 1981, but in the last few years, following the death of Sweeney’s father (Donald Senior), the relationship had deteriorated, as he found it harder and harder to get in touch with the younger Sweeney. Smith testified that, although he once thought the ponies looked bloated when he visited the Severn Farm, always at the festival the Sweeneys presented ponies that appeared to be generally healthy and well fed. Smith reported that he had never had any complaints about the condition of the Sweeney ponies. After Wright rested his case, Dunlap moved that the Dorsey/Sweeney requests be dismissed, noting that the law assumes that the actions of Animal Control are correct, and therefore the petitioners have the burden of proof. Dunlap argued that the petitioners had not provided enough evidence that they were capable of providing adequate care for the horses. The judge denied the petition. The county proceeded, calling as its first witness a former Severn Stables employee, Lauren Umblandt, who had filed the initial complaint in January. Umblant was followed by veterinarian Rich Forfa, who had conducted the entrance exams on the horses shortly after their arrival at the rescue facility, Days End Farm Horse Rescue in Howard County. Forfa was followed by DEFHR Assistant Executive Director Erin Ochoa; Field Investigator Crystal Dowd for Anne Arundel County Animal Control; Dr. Thomas Jett, who had provided vet services to the farm and made the recommendation to Animal Control to remove the animals; Anne Arundel County police officer Christina Rich, who was part of the initial investigation on January 9, 2013; and Anne Arundel County Police Department Animal Control Officer Serena Beckner, who was involved in several of the site visits to the farm between January and May. As a rebuttal witness Wright presented hunter/jumper trainer and farrier Wilson T. “Butch” Gardner. By the time each side had rested its case and was ready for closing remarks, it was the end of the judicial day, so closing arguments were scheduled for 2 p.m. the following day, Wednesday, July 31. It had been a long day, with a lot of ground covered. A great deal of time was spent exploring exactly when Leah Dorsey moved her horses to the farm, her relationship with Donald Sweeney, Jr., who operates the stable, and her relationship with Sweeney’s aunt, the supposed owner of the farm. Dorsey testified that she is engaged to Sweeney, but the county kept challenging the validity of the engagement claim based on media reports that she was an employee of the farm. To courtroom observers, it was unclear whether the county was attempting to undermine her credibility by pointing out the discrepancy or if somehow employee status was more pertinent than fiancé status. According to court testimony, approximately two weeks prior to the May 31 visit by Animal Control, Dorsey was banned from the property. It seemed that the county was trying to establish that, as a result, Dorsey was not a credible witness regarding the care and condition of the horses at the time of the May 31 visit. Dorsey argued that she monitored the activities of the farm from the adjacent park. It seemed that she might have been able to use the fact that she was not allowed on the property in her favor, as she could claim she was not the one who neglected the horses, and therefore she should be able to have her horses back, but that obviously would have put her at odds with her significant other. Flipping Horses, Legitimate Sales Barn or Rescue Operation? Some time was also spent on establishing the type of operation being run at Severn Stables. Witnesses against Sweeney and Dorsey accused them of flipping horses. Sweeney frankly admitted that he was in the business of buying and selling horses, as had been his father from whom he inherited the business about four years prior. The business was established in the 1950s by his grandfather, and had been supplying pony rides to the Maryland Renaissance Festival for 34 years. Sweeney testified that he only recently started accepting boarders. While Sweeney was frank about buying and selling horses, Dorsey seemed to take a different approach, claiming instead to be rescuing and adopting out horses. Evidence supported that the pair were buying low and then attempting to sell high, purchasing horses at established “killer” auctions for very little money, ostensibly fattening them up and rehabilitating them and then reselling them. The difference between a legitimate sales barn that rehabilitates an animal and a “flipper” who masks health or behavior problems to make a quick profit is significant and the county never established which Sweeney was, except to establish that a certain level of neglect persisted in the horses currently under Sweeney’s management. However, the issue of whether or not Sweeney was a legitimate horse dealer or a “flipper” became muddied by Dorsey’s claims that she was “rescuing” horses and “adopting” them for a fee. It was unclear why Dorsey (and her attorney) thought it was somehow better to cloak the business in the aura of rescue, except that maybe it sounds more honorable than being a dealer. Nevertheless, the county seemed to spend a great deal of time discussing with Dorsey the concept of rescuing, when they could have easily dismantled her claim of being a rescue through simply establishment of facts. If by claiming she was rescuing and adopting out, was Dorsey claiming that she was running a charity or a nonprofit? If so, there is a simple series of questions to determine the validity of that claim (see The Equiery’s digital archives for tips on finding legitimate rescue stables), but they were not asked. Was Hope a hard keeper, or had the plaintiffs intentionally not fed her? Dunlap spent a considerable amount of time attempting to establish that the plaintiffs knowingly underfed the horse known as Hope. The plaintiffs and Animal Control agree that, when Hope was purchased at the Camelot Feed Lot in New Jersey on March 27, the mare was underweight. Likewise, both sides agree that the horse was severely underweight and malnourished when seized on June 4. Dunlap, perhaps in an effort to be able to later press criminal charges, was apparently trying to establish that either Dorsey or Sweeney intentionally underfed Hope by submitting as evidence a variety of sale photos and videos of the horse placed on various internet sites in April. 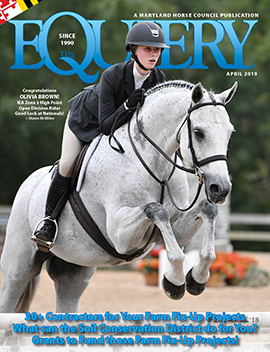 However, for every photo or video submitted into evidence by the county that the mare known as Hope looked to be in good flesh in April, Dorsey was able to provide a date stamped photo on her phone that bolstered her argument that she was having ongoing problems putting weight on the horse, and noted that all the photos being submitted by the county as proof that the mare was in good flesh showed the mare saddled or otherwise obscured her true body condition. Using marketing photos as proof that a horse was in good flesh seemed rather weak evidence, as who would use for the purposes of marketing a horse with a $6,000 asking price photos in which the horse actually looked ribby? It was easy for the Sweeney/Dorsey attorney to establish that the sales photos were irrelevant. However, the fact that Dorsey was attempting to sell (or “adopt out”), immediately after its purchase from a feed lot a horse that she testified that she knew was underweight did undermine her claims of being a “rescue” interested in saving and rehabilitating the horses and adopting them out to good homes. Animal Control was called to Severn Stables in January because of a dead horse. The county used the condition of this aged horse as evidence of ongoing neglect, noting that the autopsy indicated that the elderly horse had not received proper dental care in quite a while, and as a result, had hooked teeth that had caused chronic ulcers in his mouth, was unable to properly grind the feed for consumption, presuming he was fed an adequate amount of nutritious feed. As a result, at the time of death, the horse had no body fat. Dr. Forfa testified that the horse probably would not have died if proper dental care and adequate nutrition had been provided. Witnesses testified that evidence indicated that the horse must have been dead for some time in its stall, and that other animals had access to the body, as there was evidence of animal waste on top of the dead horse. The plaintiffs countered that the horse, know as Big Rig, had been owned by the Sweeney family for a long time and that, while they knew it was time for the horse to be put down, were having a difficult time emotionally making the decision, the call had been placed to the vet prior to the horse dying. As it was winter, Sweeney had to wait for the ground to thaw before he could bury the horse. The plaintiffs presented no witnesses or evidence that the vet had been called prior to the horse’s death. Upon arrival at the property, Animal Control also found two dead newborn goats. The plaintiff argued that the goats were stillborn. Forfa’s testimony regarding the necropsy of the goats could not rule that out as a possibility. The plaintiffs argued that the county thought enough of their operation to shelter impounded horses with them in 2011. Animal Control countered that they ended up removing the horses because Sweeney could not account for how the feed provided by the county for the impounded horses was used. Anne Arundel County attorney William Dunlap argued that, even though the couple had released any claim against the most severely malnourished of the horses (Hope), none of the horses should be returned, as the plaintiffs had established a documented pattern of neglect dating back to January. There were detailed accounts of debris in the fields, soggy portions of the paddocks, and the condition of the fencing, with counter testimony about work parties clearing debris and patching fencing, and disputes about how detrimental a soggy or puddle area really is. There was detailed discussion about how old tubs were being used, whether they were used as water troughs or feed troughs. The January list of requirements from Animal Control also included having all the horses’ feet done and teeth floated. Both sides agreed that the farm met the entire list of Animal Control demands within the time period required (with an extension granted to accommodate the dentist’s schedule). The county presented witnesses that testified that, despite perhaps nominally complying with January requirements, the situation had again deteriorated to one of extreme neglect, as evidenced by the horse called Hope, prompting veterinarian Thomas Jett to call in Animal Control to assess the situation. The county presented witnesses and evidence that the water troughs were either empty or contained green stagnant water. For the most part, the county built its case about neglect of all the horses based on the condition of the horse Hope. The attorney for the plaintiffs moved to have evidence regarding Hope dismissed because the plaintiffs were not petitioning the court for her return, and because the warrant to impound the horses stated “no immediate concern for the other animals.” The judge denied the motion. Disputes continued about feed, with the county claiming there was not feed on the property, and Sweeney and Dorsey arguing that there was feed, as there were several bags of alfalfa cubes, but there was no sweet feed or grain, that they were going to the store that day to restock grain and sweet feed. After a full day of witnesses and testimony, it seemed that the county presented a good case. The plaintiffs presented credible arguments, but submitted no evidence or witnesses to bolster their arguments. The plaintiffs’ attorney, Wright, easily dismantled the credibility of the county’s first witness, Lauren Umblant, who testified she had been boarding and caring for horses at Severn Stables and had jointly owned horses with Sweeney. She testified that she was currently managing two other horse facilities and had left the property before Dorsey began boarding horses. Umblant had filed the January complaint with Animal Control while she was still at the farm. However, her complaint was not about neglected animals, but about a horse that was dead. She testified that the horses were well fed because she herself fed them, but that the feed was stored in open containers, was moldy, water was rarely changed and that there was a lack of hay, as well as general disrepair of the property. But her credibility was undone when Wright easily established that there was something of a personal and ongoing feud between Umblant and Dorsey, with Facebook wars and requests for peace orders. The tension and disdain between the two young women was clearly visible to all courtroom observers, even though each of them gamely attempted to suppress their emotions. However, Wright was not able to dismantle the credulity of the other county witnesses quite as easily, although he was given plenty of opportunities by the County Attorney, who naively kept pressing certain points such as pressing the point that the horses did not have free and open access to grain feed, as required by Animal Control. Undoubtedly, the County Attorney was referring to Animal Control requiring unfettered access to forage or hay, not feed. Sweeney attempted to explain that no horse person in his right mind allows horses and ponies unlimited access to grain or sweet feed. Rather than having Sweeney defend himself, the attorney could have called on a nutrition expert or even asked one of the county’s witnesses (such as the vets) to establish that horses should not have unfettered access to grain. Despite the County Attorney’s misguided questioning, the crucial point was whether or not the horses were receiving adequate and nutritious feed. The county’s evidence that they were not receiving adequate nutrition (feed) was that one horse out of nine had a critically low Henneke body conditioning score (Hope scored a 1.5, emaciated, at the time of impoundment) and two were in the “very thin” range of 3 and 3.5. The remaining horses and ponies were in the acceptable ranges of 4 to 6. The county did not provide context for the body scoring (i.e., the acceptable range), but the plaintiffs’ attorney, Wright, did establish that the majority of horses were in the acceptable range and that, in fact, a score of 7 is the beginning of carrying too much weight. Sweeney and Dorsey argued that they knew they were having trouble keeping weight on Hope and that the two other horses were difficult keepers. They maintained that they were working with a vet on a program to try to rehabilitate the horses and put weight on them. However, the plaintiffs presented no feed store receipts as evidence that they had been acquiring and presumably feeding the diet they claimed. There was no one to testify as to the acquisition of the feed. And although they claimed that they were working with a vet on a feeding regime, and that the vet had prescribed a five-day Panacur “power pack,” those prescription records were never entered into evidence. The only witness presented by the plaintiffs to counter the county’s claims of neglect was trainer/farrier William T. “Butch” Gardner. Gardner testified that he used to service Severn but “not in a while.” When asked by the plaintiffs’ attorney, Wright, to assess the feet of horses and ponies as they appeared in the entrance photos taken at Days End, as well as the photos after their feet had been done, Gardner stated that this was a “battle of expert farrier opinions,” and that the farrier for Days End had a different style than he did. Gardner provided very narrow and careful answers to each attorney: the feet were not grossly neglected; yes, they were in need of being done; one horse was very overdue, but the prior work was holding up and the feet were not chipped or broken up. Wright was not able to get Gardner to say that the feet were fine, but the county’s attorney was not able to get Gardner to say the feet were grossly overgrown, just that one was “very overdue”. Wright, the plaintiffs’ attorney, using the various photos, also had Gardner testify that, in his opinion and based on the photos, except for Hope, the horses did not look underfed. Regarding Hope, although he thought the horse looked like she had not been fed properly, based on the photos, he thought that Hope’s coat looked good and so that it was perhaps not a chronic condition. Had the plaintiffs been able to provide evidence that they had been regularly purchasing adequate amounts of feed since January and had been working with a vet, they would have had a more credible case. And if, as they claimed, the plaintiffs were having the horses feet done, and that they were just a “little” overdue, why did the plaintiffs not present as a witness their current farrier? Why present a farrier who no longer serviced the stable? In the end, the plaintiffs allowed that there had been some neglect as well as deterioration of the farm, noting that Sweeney had been struggling with depression since the death of his father but nevertheless had worked willingly with Animal Control to rectify problems, and that the majority of horses impounded, according to witnesses and evidence submitted by the county, were not in immediate life-threatening condition, and those particular animals should be returned. On Wednesday, July 31, after listening to closing arguments, Judge Johnson ruled that the plaintiffs had failed to meet their burden of proof that they could properly care for the impounded ponies and horses in a manner that complied with Maryland’s legal requirements for the minimum standards of care. Sweeney and Dorsey have 30 days to appeal the judge’s decision. If the plaintiffs do not appeal, the county will assume ownership of the horses and will be able to release custody to Days End Farm Horse Rescue in order for the horses to be adopted out in the future.